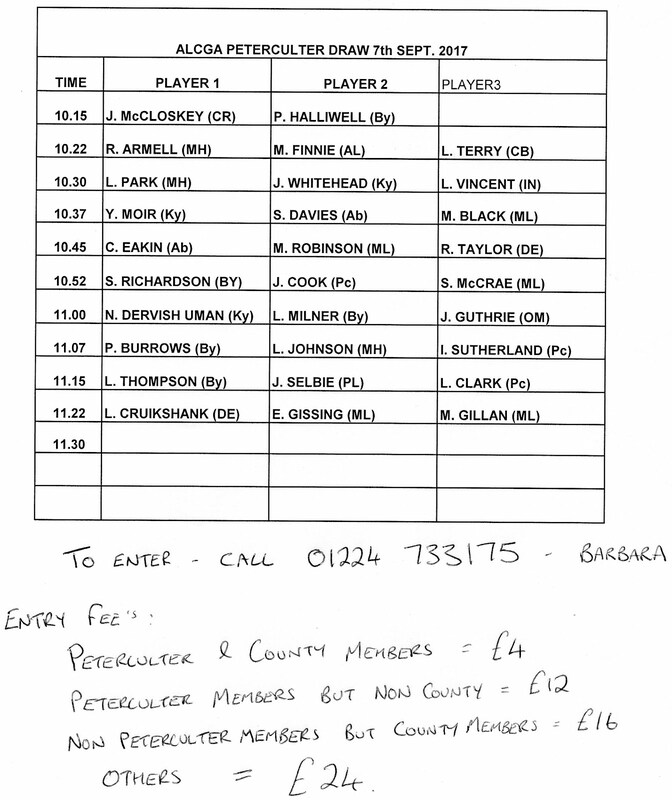 PETERCULTER Late entries will be accepted on 01224 733175 for the Aberdeenshire Ladies County Open on Thursday 7th September. 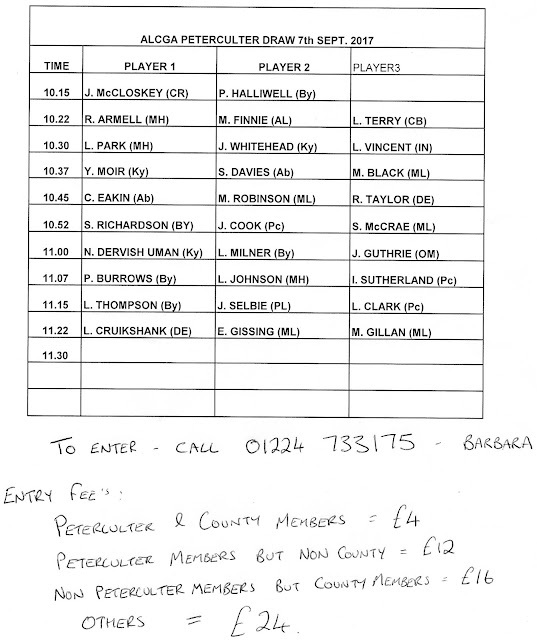 Players tee off at 7 & 8 min. intervals and are from the home club unless stated. Abbreviations: Ab, Aboyne; AL, Aberdeen Ladies; By, Banchory; CB, Cruden Bay; CR, Craibstone; De, Deeside; I, Inch; Ky, Kemnay; MH, Meldrum House; ML, Murcar Links; O, Oldmeldrum; Pl, Portlethen. 11.15 - L. Thompson (By), J. Shelby (Pl), L. Clark.